Something from my bar whenever I feel like it episode CLXXIIIsteemCreated with Sketch. 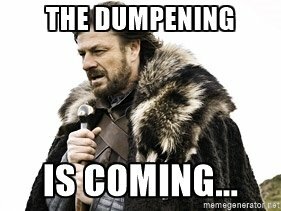 A bit of Sc-Fi for this off the wall Thursday episode. Can't really say this one was off the wall though as it never made it up on the wall. 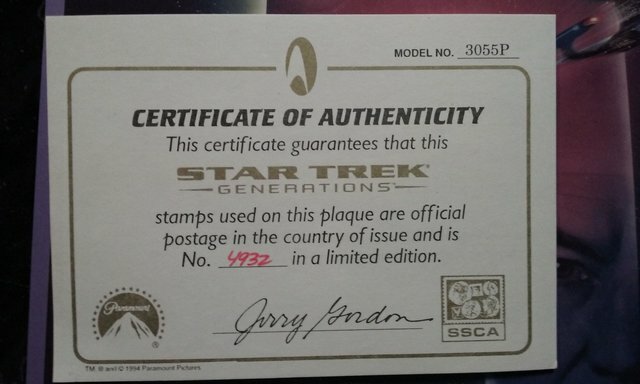 It was still in the plastic lying in the bottom of my Sci-Fi cabinet. 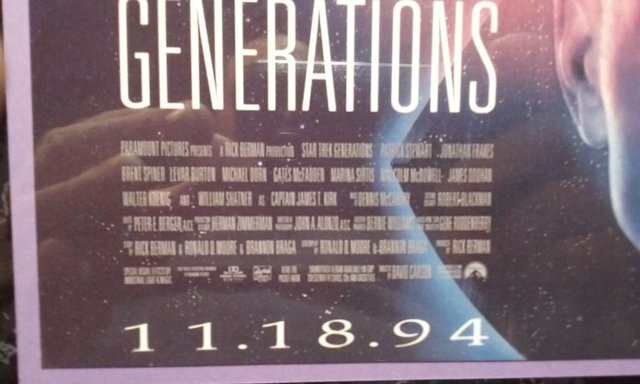 It's a commemorative plaque from Star Trek Generations. 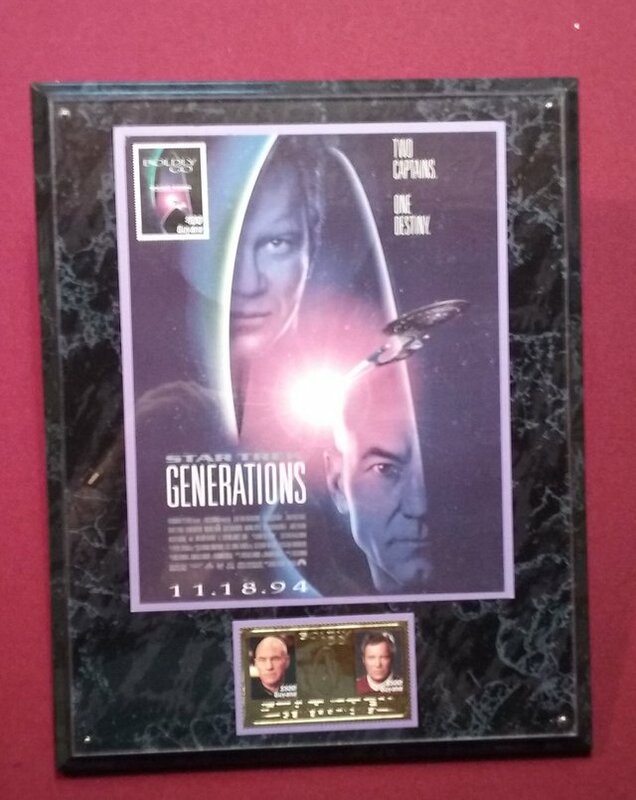 The picture features both captains and the Enterprise D. In the upper left corner is a stamp with a similar picture that only has the Enterprise. 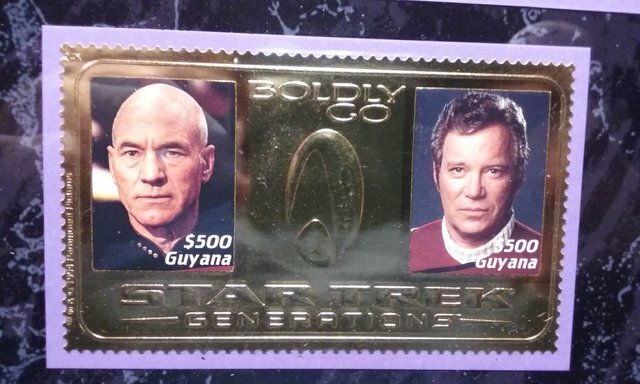 At the bottom is a gold stamp featuring both captains. 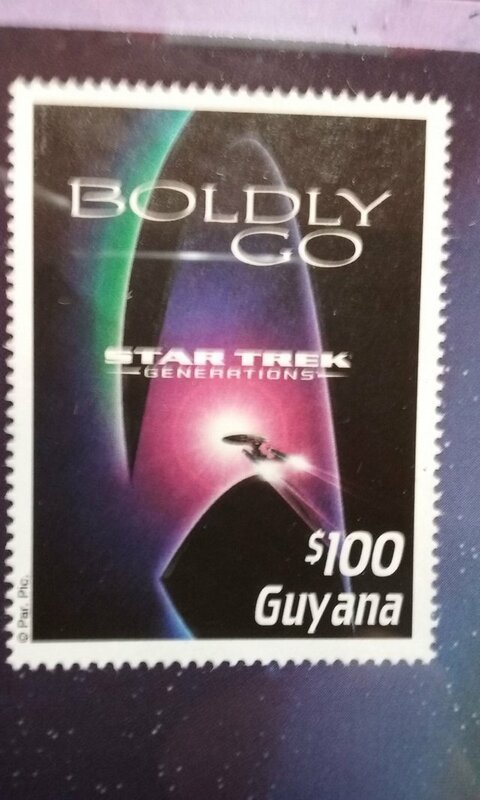 I guess they couldn't get the rights to do US stamps so they used another country. Anyway this is now with the 2 NASCAR ones that need to go on the wall.